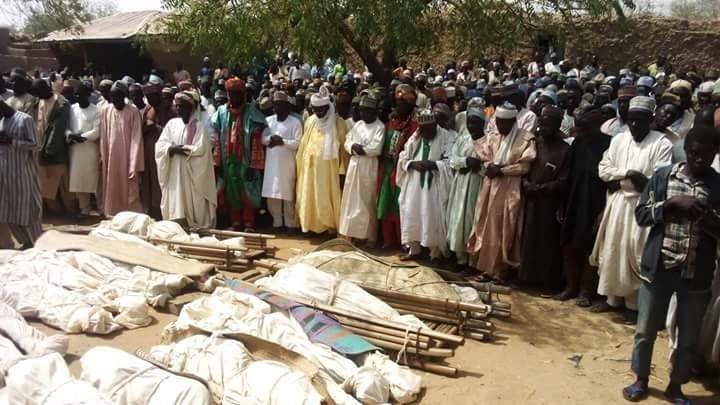 Cattle rustlers have killed at least 15 persons in a community in Zamfara State barely one week after not less than 26 persons were killed in another community. Another mehem in a community in Zamfara State has been thrown into mourning. Gunmen invaded Zukuna community in Nigeria’s north west state of Zamfara, killing 15 people. The attack happened barely one week after the killing of 26 people in the state and 24 hours after police said it repelled an attack on another community in the state. Confirming the attach, the spokesman for the Zamfara State Police Command, DSP. Muhammad Shehu, told the News Agency of Nigeria on Saturday in Gusau that the bandits killed the people in a village called Zakuna, in Anka Local Government Area. The beleaguered state has seen repeated attacks in recent times that have left scores dead. According to Mr Shehu, the attackers invaded Zakuna in the early hours of June 1 and stole cows belonging to villagers.